Trials Rising is the newest iteration of Ubisoft’s gripping motorcycle platforming series. 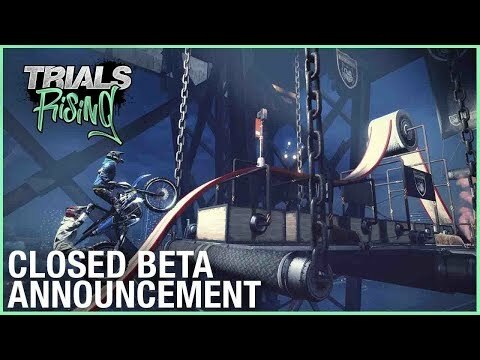 Combining the core gameplay and over-the-top action of the Trials franchise with all-new features, more competition, and a fresh visual look, Trials Rising is the biggest and most ambitious title in the series to date. The competitive rags-to-riches experience is designed from the ground up to gently introduce new players to the acclaimed physics-based gameplay. With more tracks than ever before, beginners are in for a smooth ride towards mastery, while the skills and nerves of experienced players will be put to the test in the most advanced challenges. This is Trials at its best. Trials Rising was released on Switch 56d ago in the US and the UK. Based on 1 Trials Rising Switch reviews, Trials Rising gets an average Switch review score of 79. The score for all versions is 79 based on a total of 3 reviews.